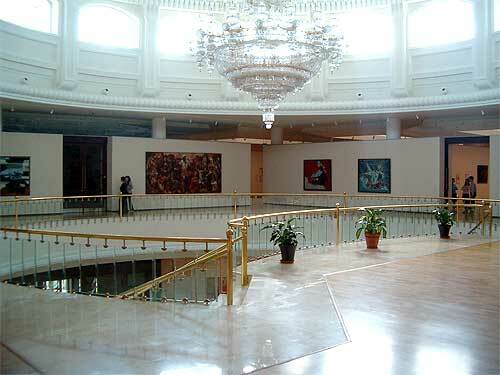 The richest collection of artworks of Uzbekistan from the beginning of the 20th century up to the present day, as well as a unique collection of Central Asian coins are on display in the Art Gallery, which opened its doors on the eve of the celebration of Independence Day of the Republic of Uzbekistan in 2004. 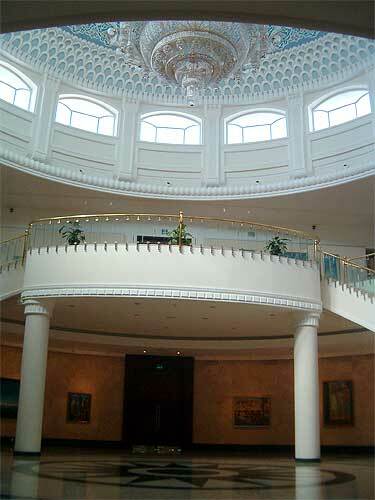 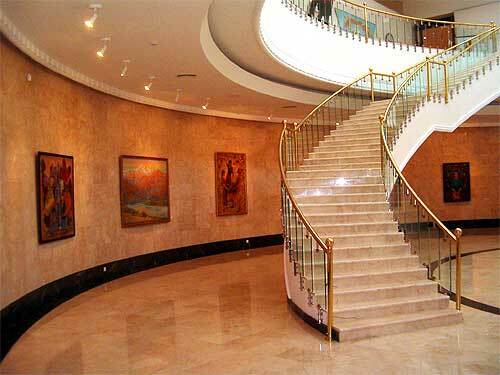 The first exhibition mostly included the collection of the Paintings Gallery of the National Bank for Foreign Economic Activity of the Republic of Uzbekistan, which was established in 1994 upon the initiative of the President of Uzbekistan, Islam Karimov. 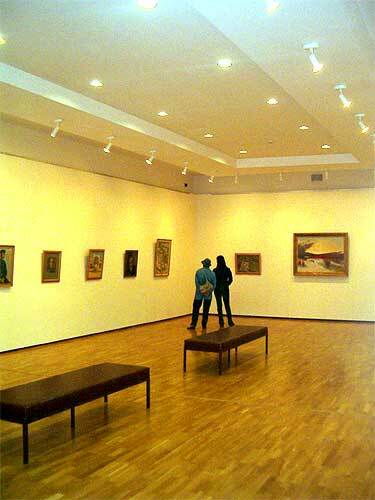 Modern equipment installed in the Gallery allows for the maintenance of the most rigorous temperature, humidity and security conditions, necessary for the demonstration and storage of exhibits. 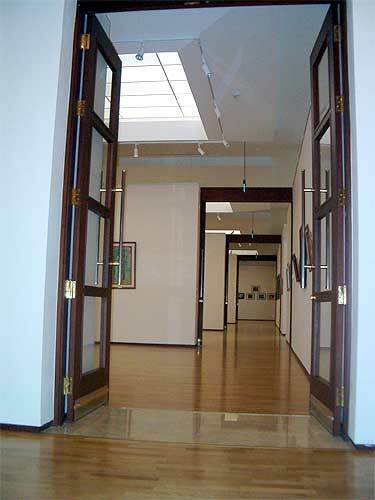 Lecture and video rooms, and a library, master class studio, and workshops all certainly raise the new exhibition complex to the level of an international arts center. 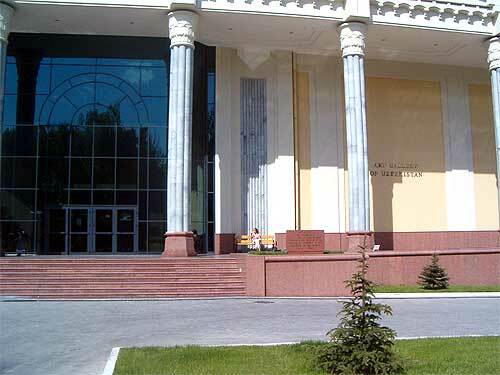 Aside from its exhibition area of 8,500 sq.m, which is comprised of 15 showrooms, the Gallery includes a duly equipped conference hall for presentations, seminars, business meetings, video demonstrations and other events. 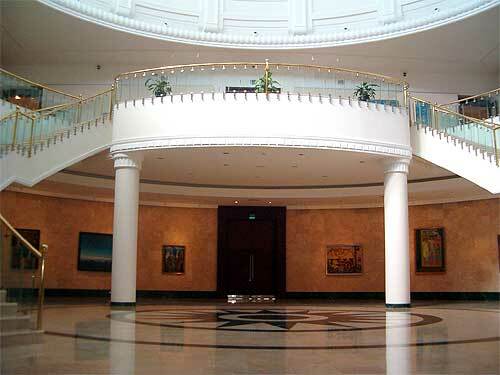 Visitors can relax in the cozy cafe and purchase souvenirs in the art shop. 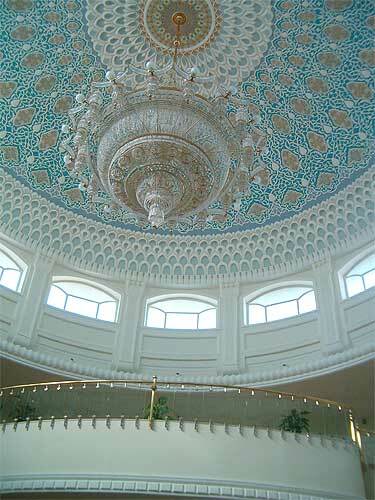 The management of the museum is ready to work with various organizations and delegations in Uzbekistan and abroad.